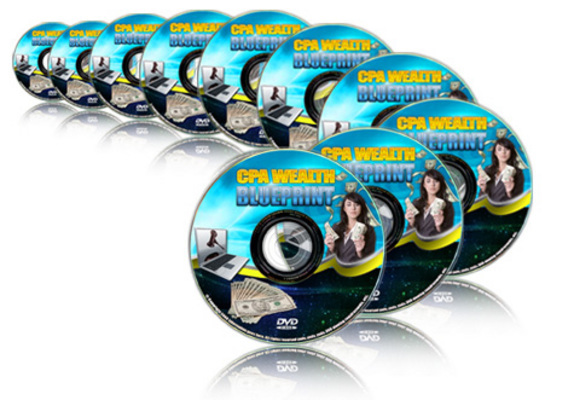 "CPA Wealth Blueprint" Step By Step Video Series(12 Power Packed Videos) with *Master Resale Rights*! If you're not leveraging CPA networks in your online business then you are LOSING a fortune, guaranteed! "Discover How To Master The CPA's And Begin Generating A Staggering Amount Of Money Almost Immediately -- No Matter Your Level Of Experience!" * And how you can get approved even when you've been rejected! * You've seen how to use CPA networks to make money promoting offers, what if you could benefit from the tens of thousands of people who do this promotion?